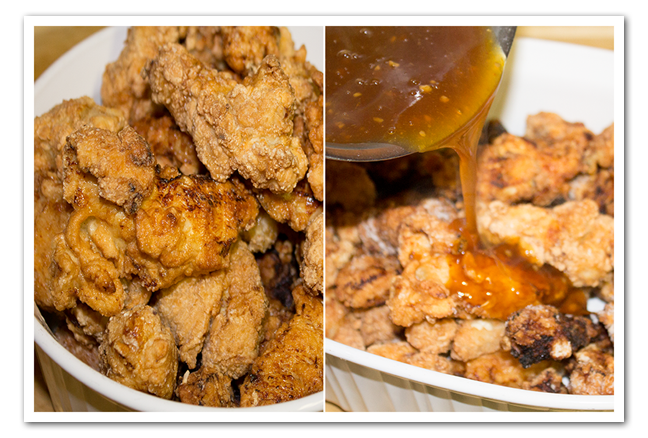 Orange chicken Chun Pei Gai Pan is Traditionally a Hunan recipe contained what is called chun pei, or ‘old skin,’ to describe the dried citrus peel used in its preparation. For restaurants outside of Asia, fresh orange peel is often used instead. 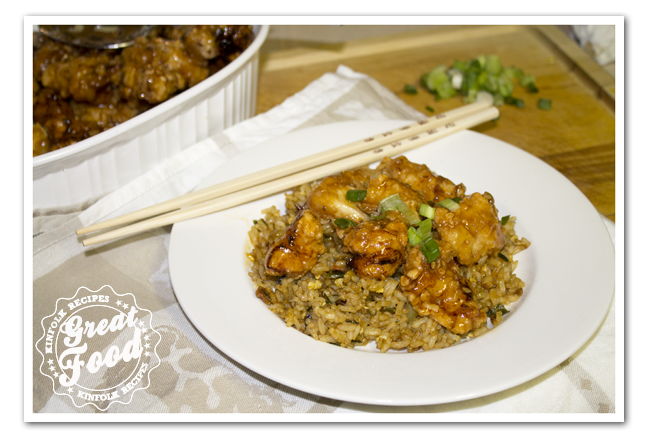 If you like take-out Orange Chicken then I am sure you will like this recipe. Zest the orange it should give you about 1 tbsp. Squeeze the orange and use the juice for the sauce. Add the sugar, soya sauce and rice wine vinegar. Set aside. One more bowl add the cornstarch, flour, salt, black pepper, egg and oil and water . 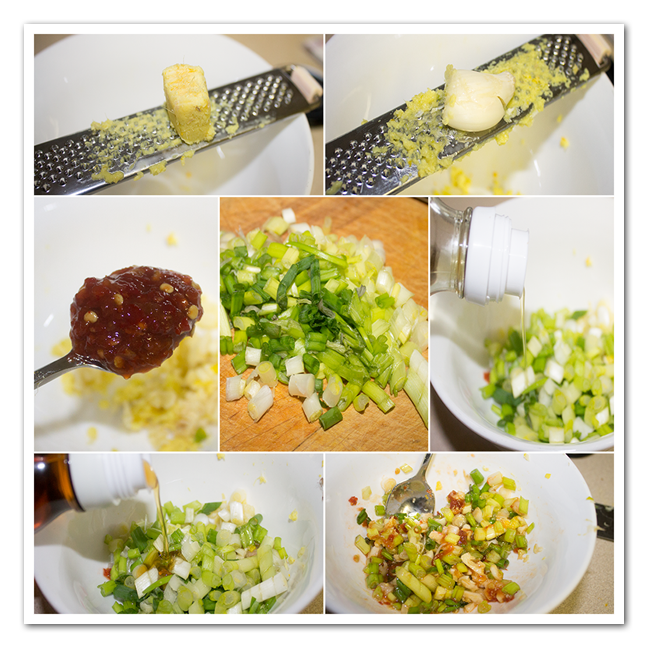 Whisk till you have a smooth batter. Add the chicken to the batter. Put canola oil to a deep skillet or wok. Make sure it’s hot enough to fry the chicken (375F). The chicken when it’s done is not going to be dark that’s because the cornstarch added to the batter. Fry for about 5 minutes. In another skillet or wok put 1 tbsp canola oil and fry the green onion mixture for a few minutes. Then add the orange mixture. To thicken the sauce add the diluted cornstarch. Pour over the fried chicken and toss till the chicken is covered in the sauce. Add the chicken to the batter. Put canola oil to a deep skillet or wok. Make sure it's hot enough to fry the chicken (375F). 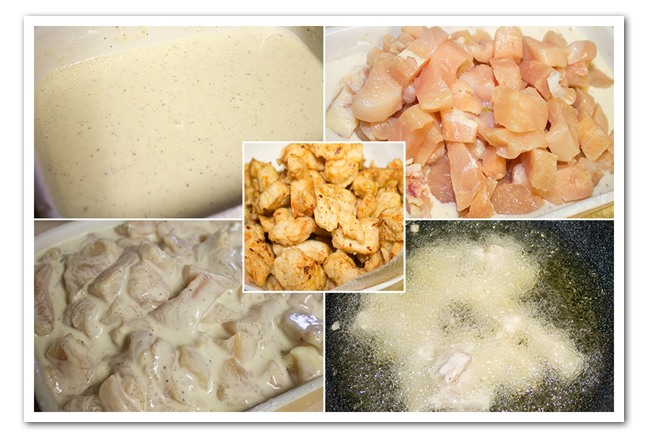 The chicken when it's done is not going to be dark that's because the cornstarch added to the batter. Fry for about 5 minutes. 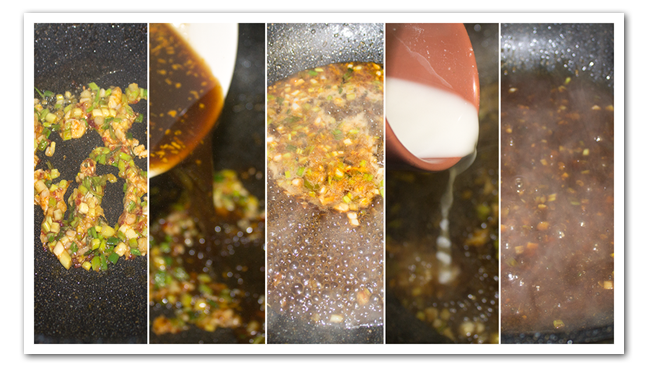 In another skillet or wok put 1 tbsp canola oil and fry the green onion mixture for a few minutes. 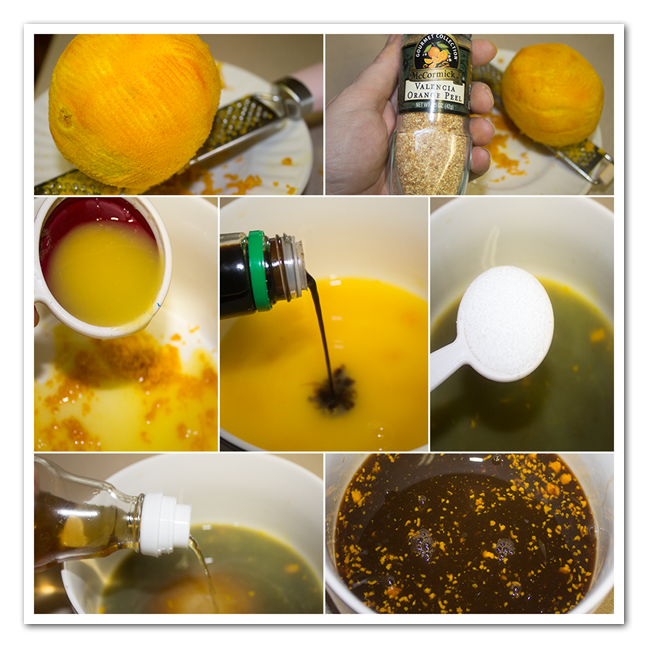 Then add the orange mixture. 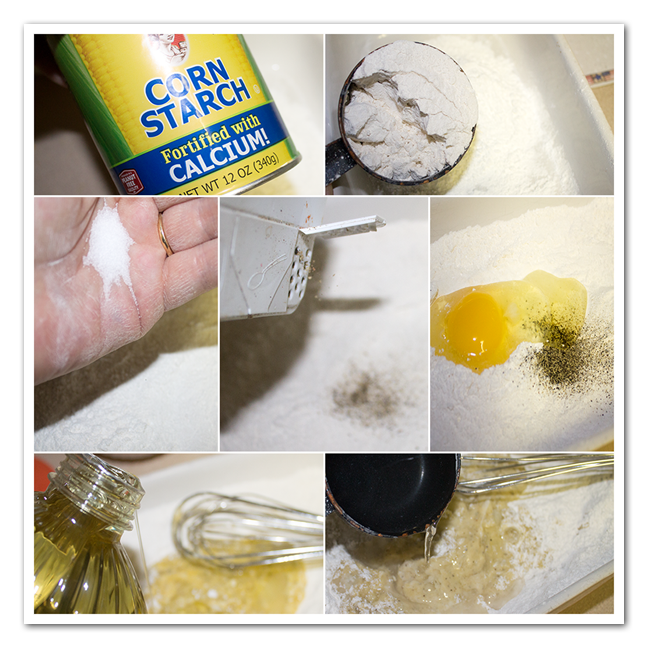 To thicken the sauce add the diluted cornstarch. Pour over the fried chicken and toss till the chicken is covered in the sauce.